GeoEnergy encompasses the range of energy technologies and sources that interact with the geological subsurface. Fossil fuel availability studies have historically lacked concise modeling, tending instead toward heuristics and overly-complex processes. Mathematical GeoEnergy: Oil Discovery, Depletion and Renewal details leading-edge research based on a mathematically-oriented approach to geoenergy analysis. 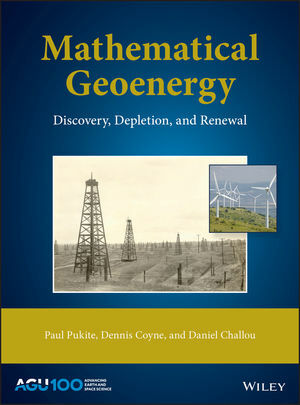 Intuitive mathematical models and readily available algorithms make Mathematical GeoEnergy: Oil Discovery, Depletion and Renewal an insightful and invaluable resource for scientists and engineers using robust statistical and analytical tools applicable to oil discovery, reservoir sizing, dispersion, production models, reserve growth, and more.